We love a crafty competition and this weekly giveaway is the perfect opportunity to get your hands on a product you're eager to use! If we could choose, we would have to pick the Dovecraft Couture du Jour Decoupage pad! The glittered designs would make a wonderful addition to any card making or DIY project. We can't get enough of these fashionable illustrations. 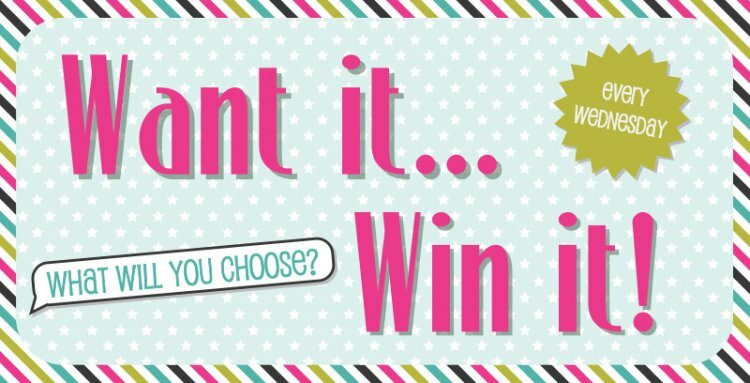 Now it's your turn, have a look through our list of fab products, COMMENT below what you'd like to win and come back tomorrow to see who the lucky winner is!